Browse: Home / Interviews / Pearl Rook – #2 and Bill Huff Jr.
Photo of Bill Huff Jr. (on right) on his way to the interview. Photo courtesy of Edith Farrington. This is an interview with Pearl Rook and Bill Huff Jr. that took place on 8/31/2015. They were interviewed by Bruce and Edith Farrington. 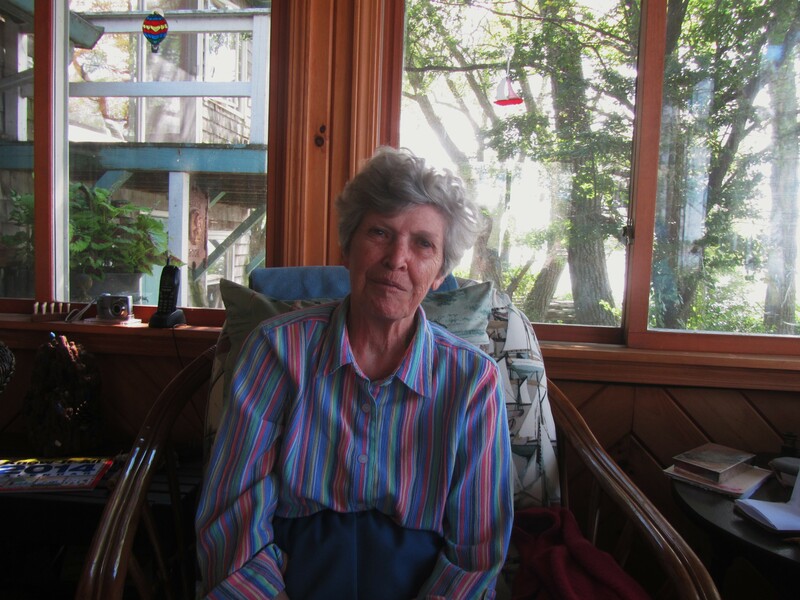 Pearl was 92 years old at the time and talks about her 88 years life on Crescent Beach. This remarkable woman was not only a poet but the author of 5 books. Bill Huff Jr. was a life long Sodus Point resident and is widely known for his excellent photography and worked as a photographer at the Wayne County Star and later the Lakeshore News. He was 74 years old. Personal Note: On November 27, 2017, Bill Huff Jr. passed away. On that day, Sodus Point lost a beloved citizen and I lost a dear friend. A great deal of the history on www.historicsoduspoint.com is a direct result of Bill’s memories. 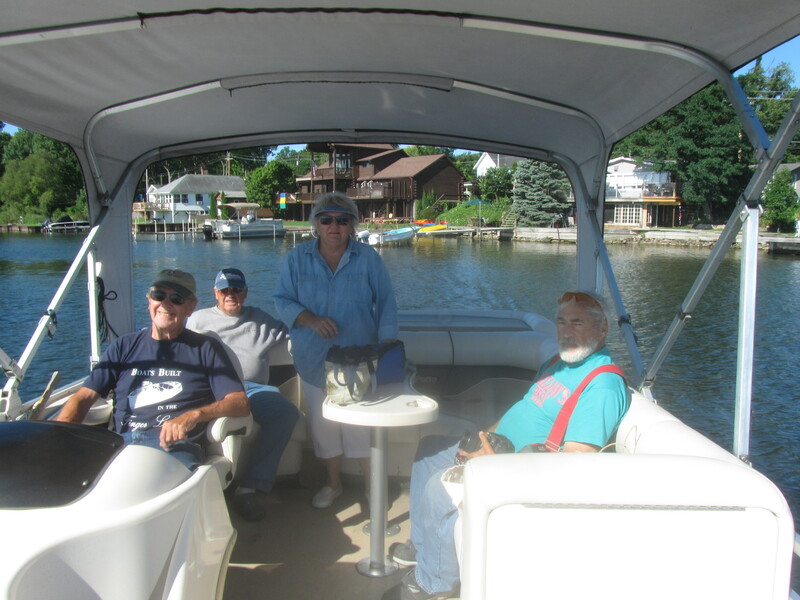 I hope that in some small measure, this recording will keep his memories alive for future generations to enjoy and learn the history of Sodus Point.